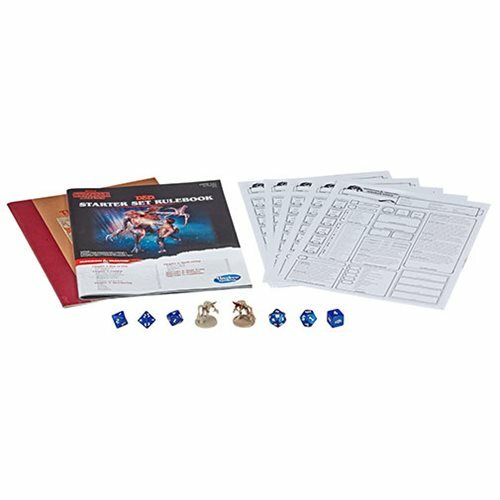 D&D just got stranger! 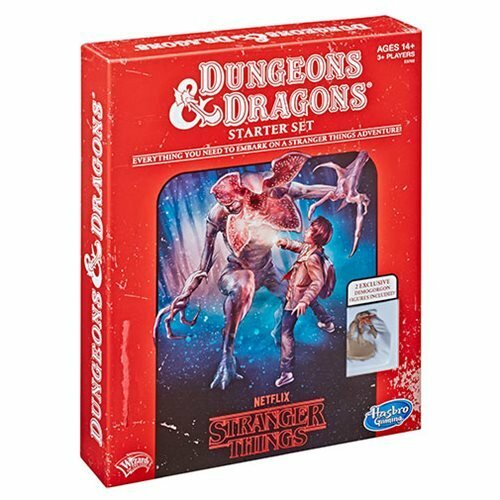 The Stranger Things Dungeons & Dragons Starter Set contains everything players need to embark on a Stranger Things adventure including the essential rules of the role-playing game. 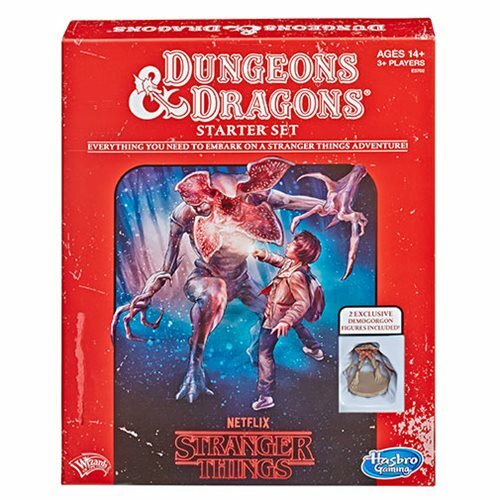 It's a great way for new as well as seasoned Dungeon & Dragons players to experience the D&D adventure Stranger Things character Mike Wheeler has created for his friends. Pick your character -- will you be Will the Wise or Dustin the Dwarf? 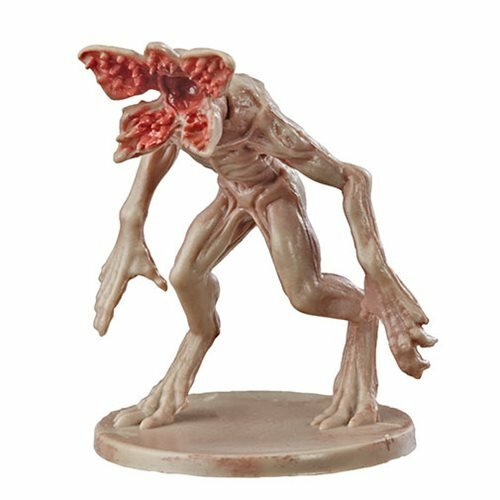 Get your fireballs ready as you investigate the mysterious castle and battle the ferocious Demogorgon. 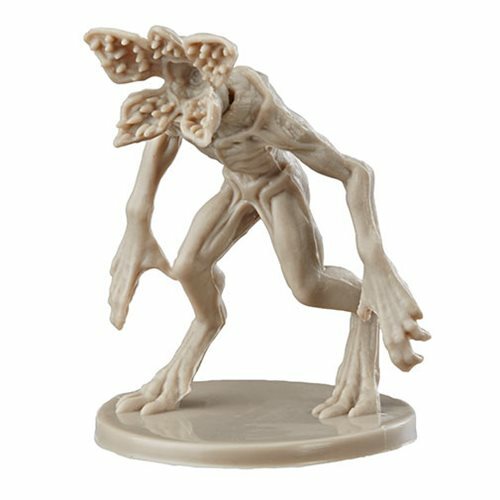 Prepare for just about anything, because the game just got stranger. 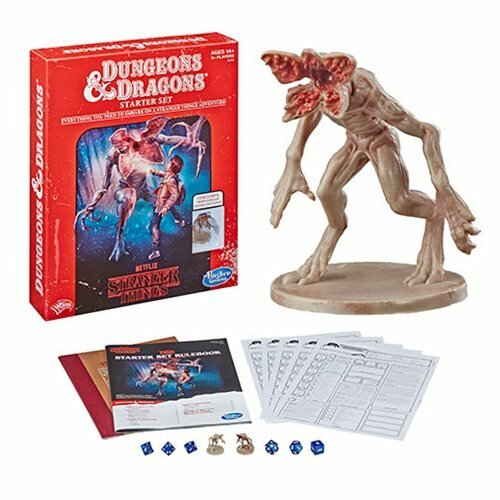 Includes Stranger Things Adventure book, Rulebook, 5 Stranger Things character sheets, 6 dice, 1 painted Demogorgon figure, and 1 blank paintable Demogorgon figure. Ages 14 and up.